A spectacular arrangement of two dozen premium Red Roses graced with luscious green leaves to make your loved one feel unique - a favourite with every lady. A simple but eye-catching selection brought together by our expert florists to allow you express your love in a sincere and memorable fashion! This bountiful bouquet features no less than 24 of the freshest, premium grade red roses. Can you imagine the look of surprise and delight on the face of your special someone when they have this bouquet delivered direct to their door? Whether it's for a Valentine's Day surprise or to say I Love You on their birthday, these flawless red roses will make for an unforgettable gesture. Have these flowers delivered 7 days a week throughout the UK. Your flowers will be delivered in our special delivery box to prevent damage while in transit, so they arrive in excellent condition, all for just £49.99. For that extra special personal touch, why not add a Handwritten Greetings Card or a delicious box of Lily O'Briens Chocolates, a chic glass vase for an adorable teddy to accompany your beautiful fresh hand-tied 24 Red Roses bouquet. We also have a similar arrangement of 12 Red Roses, a simple and elegant Single Red Rose and the exceptional Love - 20 Red Roses bouquet. You may also be interested in our wider range of Romantic Roses and Valentines Day Bouquets. 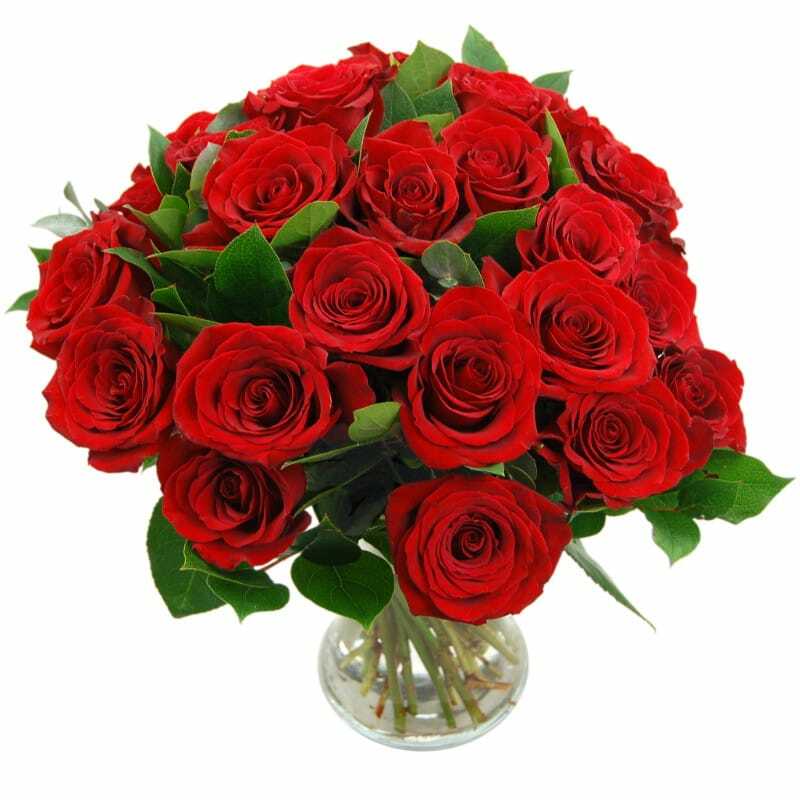 If you're in a hurry and need to send a dozen red roses for delivery today... take a look at our full range of flowers for same day delivery.